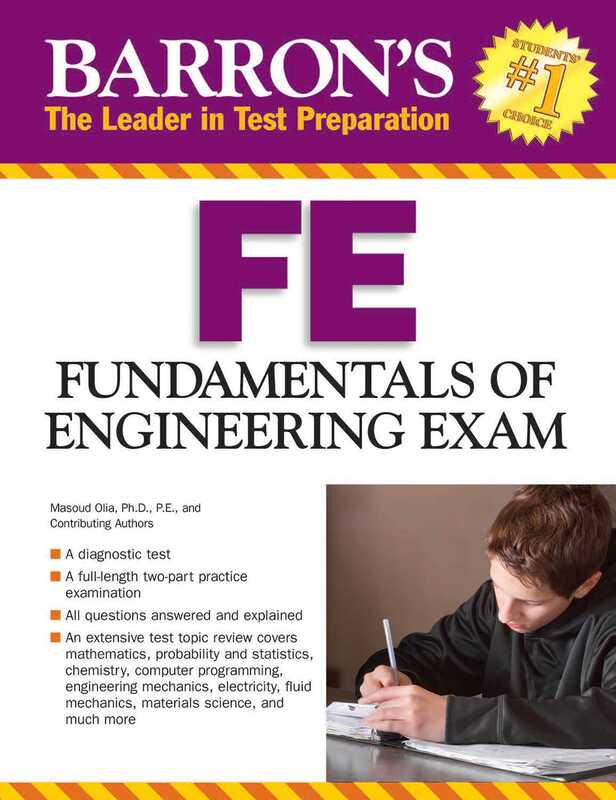 Passing the Fundamentals of Engineering Exam is the first step toward becoming a Registered, or Professional, Engineer. The P.E. designation is a prerequisite for work as a consulting engineer, as well as for engineering management positions in many industries. This book prepares applicants who are planning to take the exam in the field of “mechanical” or “other” disciplines. It includes two mini diagnostic tests (one for each discipline) plus two full-length practice examinations with questions answered and explained for both disciplines. Prospective test takers will also find valuable brush-up chapters covering all test topics: chemistry, computational tools, dynamics, kinematics and vibrations, electricity and magnetism, engineering economy, ethics and professional practices, fluid mechanics, instrumentation and data acquisition, materials science and structure, mathematics, measurements, instrumentation and controls, mechanical design and analysis, probability and statistics, mechanics of materials, safety, health, and environment, statics, and thermodynamics and heat mass and energy transfer. Additional practice questions with answer keys and explanations follow each chapter.